Buy New B + W 60mm XS-Pro UV Haze Digital MRC Nano # 010M Filter Malaysia At FotoZZoom! 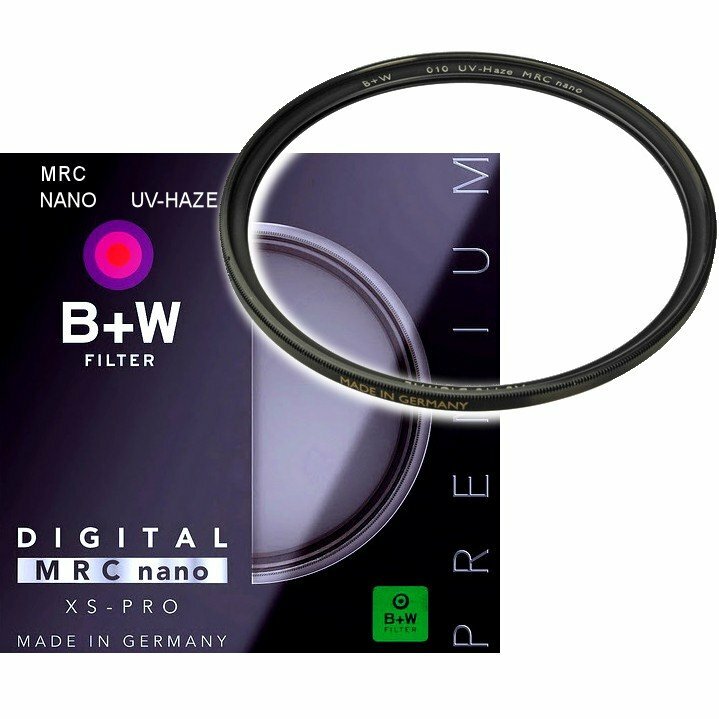 The B+W 60mm XS-Pro Ultraviolet (UV) MRC Nano Filter is a wise initial investment. It helps protect your valuable investment from dust, moisture and scratches, which can lead to costly repairs. B+W's MRC Nano coating takes filter production to a new level. It features improved cleaning capabilities. Water droplets will bead up better and be easier to remove from the filter. This filter is also scratch-resistant. Single coating is applied to one layer on each glass surface. This improves light transmission from about 92% (uncoated glass) to about 98%. It also has certain anti-reflective properties that help prevent against ghosting and internal flaring. The reputation of B+W's Schott glass is world renowned. The high production standards combined with a sturdy brass filter ring make B+W filters hard to beat. These filters have a "heft" to them that is impressive. They may feel heavier but the benefit is in the construction and results. Not only is the glass exceptional but so is the seal between the ring and glass. Schott Glass used in the manufacture of this filter is legendary and synonymous with the highest standards of filter production. It comes with a solid 10-year warranty. In production, the filter glass is dropped into the empty filter ring from the rear and held in place with a threaded retaining ring; this is a definite advantage over a competitor who uses a spring clip to hold the glass in place. A threaded retaining ring will hold the glass firmly and securely in place to avoid the possibility of rattling and provide perfect parallelity and flatness to your front lens element for ideal optics. The part about additional filters not binding is due to the fact that brass is a very stable metal and does not contract or expand like alloy.